StopBigBrotherMD has created a video demonstration of three possible mechanisms of speed measurement errors which we believe could occur under real world conditions with and Optotraffic speed camera. Such errors have been reported extensively in Forest Heights, but also in Brentwood, Cheverly, New Carrollton, College Park, as well as other towns using this type of camera. The evidence of those errors is based on time stamped images in most cased, but in a few instances it also included electronic recordings of the vehicle's speed, as well as some drivers' belief that the recorded speed was impossible under the circumstances. Despite the numerous independent claims of errors Optotraffic has asserted that nobody has ever shown them proof of an error. Optotraffic speed monitoring systems work under a fundamentally different principal than traditional police radar (which uses a Doppler effect) or police lidar (which uses a single range finder to take multiple distance measurements). Instead the device (for which you can see Optotraffic's technical description and the patent record for the devices) of uses two lasers fired parallel to each other and perpendicular to the ground from a 32 foot tall pole which essentially act as "switches" that determine the time the vehicle reaches each of the two beams and computes the speed based on the known distance between the beams. Because there are two beams instead of one, we believe the device will produce an incorrect speed reading in any instance where the two beams make first contact with different portions of the same vehicle. The video uses a 1:32 scale mockup of an Optotraffic camera with 2 laser pointers to document three possible ways the beams could in fact strike substantially different parts of the vehicle. Speed = ((Calibrated Distance - Delta Dist) / ( time2 – time 1)) Delta Dist could be substantial, we believe a delta dist of a foot or more would be possible under the right circumstances. Given a 27 inch calibrated distance between lasers represents an error in the speed measurement to the order of 80%. 2. 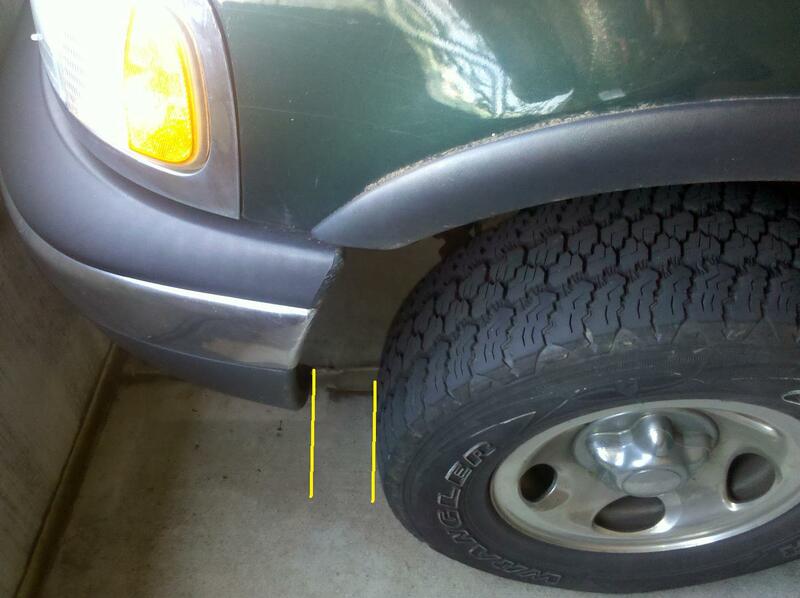 If the beam “undershoots” the vehicle, a similar error could occur if the first beam strikes the tire before striking the nose of the vehicle, then the second beam first strikes the bumper. This could happen if the beam is moving at a slight angle, from the center line towards the shoulder, or if either the beams or the road are not completely level. 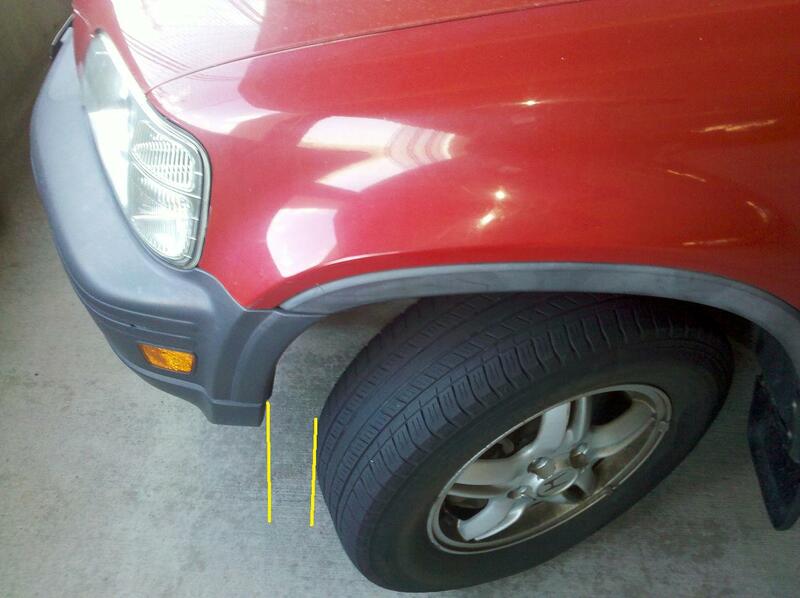 The amount of error produced by undershoots would based on a delta distance of up to the distance between the front of the bumper of the vehicle and the front tire. If this amount were 1 foot, that could mean an 80% speed measurement error. 3. Interruption Error: It is possible for lasers to pass through the wheel wells of a vehicle. This would mean that the first beam will strike the front of the pickup truck first (Step 1), as expected. 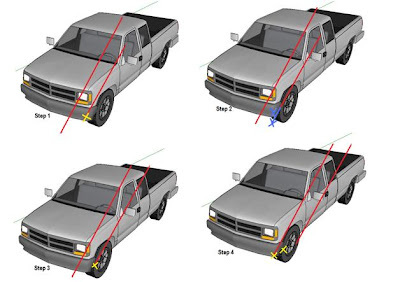 However when the truck advances a short distance the beams would fall into the wheel wells and strike the ground (Step 2). Both sensors would detect no vehicle present at this point. 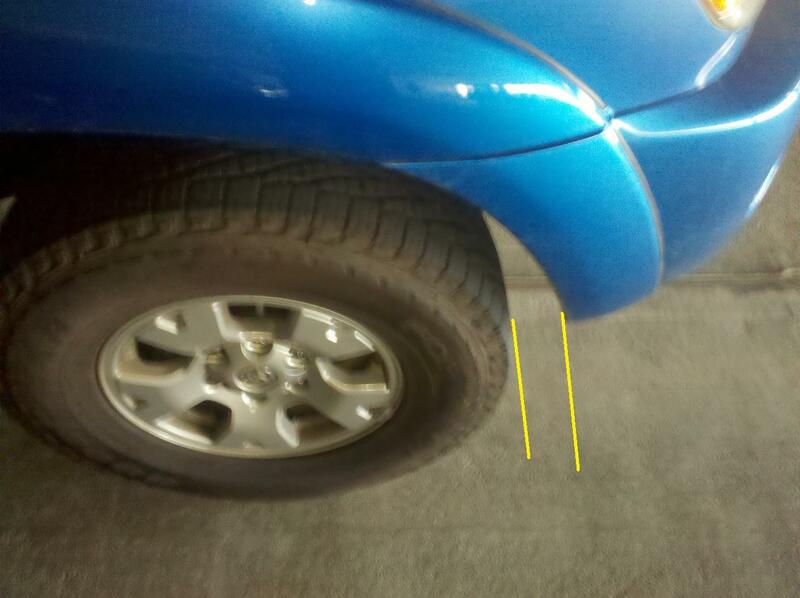 A short distance later the first beam would now strike the truck’s tire (Step 3). Then the second beam will finally strike the front of the truck (Step 4). The result of this scenario is that the device is computing a speed based on the calibrated distance between beams, but based on the time in which the truck has in reality traveled only (calibrated distance – Delta Distance) where Delta Distance is the distance between the front of the truck and the tire. We stipulate that if you can see pavement, a laser would go through these gaps. (But if you don't want to take our word for that, confirming this yourself is as easy as get a laser pointer and going out to the nearest parking lot). We note that a disproportionate number of the errors observed have been pickup trucks or other large vehicles. Such vehicles tend to have the largest gaps in the wheel wells, leaving them more susceptible to interruption errors. They also have greater ground clearance than a passenger car, making undershoot errors more likely. However it is still possible that these scenarios would occur on passenger cars. It is notable that the three error mechanisms described in the video do NOT require any assumptions the the device be incorrectly set up or that it be incorrectly calibrated. Even if the device is calibrated exactly as intended, and the device is set up exactly as designed, the problems could still happen if a vehicle is moving at a slight angle rather than completely perpendicular to the device, or if the road is not completely level, or in the case of an interruption error simply as a matter of where within the lane the vehicle is driving plus a small amount of bad luck. And, there is absolutely nothing in either the annual calibration certificates or the daily setup logs for these cameras which indicate that any of the above conditions has been tested for, absolutely nothing. b) ‘Cross eyed beams’, where the beams are not completely parallel. This could be caused if the lasers were to shift in their housing during transport or setup. The effect is that the two beams might be closer together at the target point, which would produce an incorrect speed measurement. c) Software errors of an indeterminate nature. In a future posting we will explain why we believe the tests behind the "annual calibration certificates" and "daily self tests" in fact do NOT ensure that any of the last three problems would not occur. Now, we fully expect that Optotraffic will make some form of response to this, claiming that these would not result in errors, similar to the lame attempts which they made in the past to discount error claims. And one could try to argue that Optotraffic is "innocent until proven guilty", and that so long as there is some tenuous possibility that our explanations are incorrect that Optotraffic's cameras should be "presumed innocent'. There's just one problem with that: Optotraffic is NOT the accused, Optotraffic is the ACCUSER. 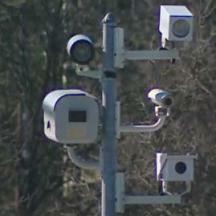 Every week Optotraffic mails thousands of citations generated by these cameras to Maryland drivers. Evidence generated by these cameras is being submitted in court cases , with the courts by and large assuming that the devices are accurate (except of course for those drivers who have been unable to even get court hearings, including some who received tickets from Forest Heights who have been waiting over a year for hearings). And even for those drivers who DO have compelling evidence they are innocent, it still costs them many times the cost of the ticket just in terms of the value of their own time. The only people who will fight the tickets even when they know they are innocent are the few who are willing to do so out of principal. The situation has become particularly urgent because Prince George's County is currently considering making Optotraffic the contractor for its camera program which will include over 100 new speed camera sites, that is a huge number of opportunities for false accusations. Those accusations are not just about $40 either: StopBigBrotherMD.org has received reports of drivers who have been disciplined and even fired after receiving speed camera tickets while driving a company or government owned vehicle in Maryland. The possibility exists for someone's entire career to be ruined over a false accusation. We believe Maryland should NOT be used as a beta test site for the nation's speed camera vendors. At the very least if speed cameras are to be used, the devices should be proven accurate and reliable in real world conditions beyond doubt before they are allowed to issue tickets. Some statewide or national organization with no financial interest in the outcome should be doing that. We also believe some legislative remedy is necessary to provide more stringent standards for testing and statewide oversight. Maryland residents can help by contacting your state legislators.